A House lawmaker voiced his alarm and displeasure Wednesday with the failure of Congress to deliver more funds to help the military with disaster recovery, several months after hurricanes devastated a Marine Corps base and an Air Force base. “I’m a little taken aback with what’s happened at Camp Lejeune and with the [Marine] Corps. And the damage and the need that you have for a supplemental appropriations bill,” said Rep. Austin Scott, R-Ga., to a panel of Navy and Marine Corps leaders during a budget hearing of the House Armed Services Committee. 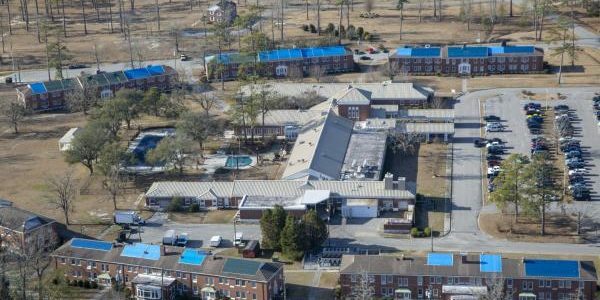 Last week, the Marine Corps received $400 million in reprogrammed funds to address the immediate needs at Camp Lejeune, N.C., after Hurricane Florence caused widespread damage at the base in September. 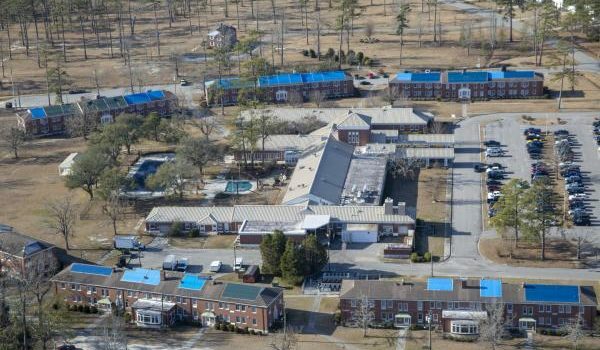 The Air Force also received authorization to reprogram $200 million in funds to help Tyndall Air Force Base on the Florida Panhandle, which was devastated by Hurricane Michael in October. Scott raised concerns about the Air Force’s available funding to rebuild Tyndall. Without supplemental disaster assistance, the base might have to stop flights there. However, even with the reprogrammed money, it will cost $3.1 billion during the next three to four years to fix Camp Lejeune “so that we don’t have to go through this again,” Gen. Robert Neller, commandant of the Marine Corps, said at Wednesday’s hearing. “You guys need it just like we do,” he told Navy and Marines officials at the hearing. Since Hurricane Florence hit Camp Lejeune in September, about 50% of the homes on the base have been repaired, Neller said. They also have identified 31 buildings on base that will cost more to repair than they are worth, so they will have to be rebuilt. Neller agreed Wednesday that the base would continue to worsen without supplemental disaster funding. Congress will leave for a two-week recess, Scott said, “and I’m embarrassed, quite honestly, that this job hasn’t been done,” referring to approval for disaster assistance funding. Scott implored Navy Secretary Richard Spencer, as well as the other service secretaries, to speak directly to the White House “about the damage that’s going to be done,” if supplemental disaster funding is not passed before the congressional recess.